(CNS): Full story – Dr Devi Shetty’s medical facility will be built on the land owned by Joseph Imparato that was until recently to be the location for the East End Seaport, a proposal that had faced considerable opposition. The agreement between the Narayana Cayman University Medical Centre (NCUMC) and the owner of the 600-acre site was announced Tuesday and ended months of speculation as to where the hospital complex would be built. In the Legislative Assembly last week the premier indicated that government was not satisfied with the proposal made by Imparato regarding the commercial port, which may have triggered the developer’s decision to sell to Shetty. According to local director, Gene Thompson, the property was the first site that the Indian heart surgeon had selected as an ideal location for his medical city. In a press statement issued by both Shetty’s local representatives and Imparato, the parties involved stated that the “High Rock” site in East End would now be home to the healthcare city. Thompson also confirmed that an application would be made to have the land re-zoned but that there would be no need to create a specialised economic zone as had been planned with the proposed port. Although the site owned by Imparato covers 600 acres it is understood that Shetty has purchased just 200 for the medical facility, which is expected to launch an entirely new leg of Cayman’s local economy — medical tourism. Since the Cayman government signed an MOU with the acclaimed surgeon 18 months ago, laws have been changed to facilitate the proposal, including capping non-economic medical damages and the health practitioner’s bill in connection with the requirements for physicians and other medical personnel. However, concern was mounting that despite government’s moves to meet with Shetty’s legislative needs, the doctor had not made any commitment to Cayman and in particular a land purchase. Consequently, Tuesday’s announcement is likely to offer some comfort to government and the broader community as the hospital has been one of the more popular project proposals. Thompson revealed that the parties had been discussing the possibility of Shetty purchasing the land at ‘High Rock’ for more than a year. In the last few months it had become increasingly clear that the proposed sea port was generating considerable popular opposition. After careful consideration “and listening to the voices of the community,” Imparato said that he came to an agreement with Thompson. Imparato added that while he still firmly believes in the concept of a seaport in East End, it was not politically feasible to continue with the project. He said that eventually the cargo facilities in downtown George Town will have to be relocated, which, in contrast to his cost-free option, would be “terribly expensive” for the Caymanian people. “Nevertheless, Gene Thompson, his partner Harry Chandi, Premier McKeeva Bush and others have done great work to advance Dr Shetty’s vision for a healthcare city in the Cayman Islands,” Imparato added as he offered his support to the medical project. Shetty’s officials said the new arrangement appeared to have the support of most elected members of both political parties, including the premier, the health minister and the opposition representative for the district of East End. since Shetty wants to maintain the elevation for his hospital, Thompson said there would be no need for excavation. He noted that the High Rock site brings a number of advantages to the project, including the height of the location, which offers natural protection against flooding. Furthermore, the site provides adequate property that is necessary for the hospital, other infrastructure needs, and future expansion. 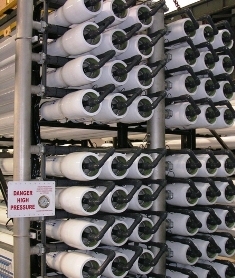 The site’s close proximity to deep cold seawater might also allow engineers, if feasible, to employ a simple and environmentally friendly air-conditioning technology called a Seawater Air Conditioning System (SWACS) for the complex. The technology will enable energy savings approaching 70 percent compared to conventional AC systems, important given that more than half the cost of operating a hospital in a warm climate is attributable to air conditioning. Thompson told CNS Tuesday that the requisite financing for the project was now in place, in the wake of recent international media stories that Shetty was still raising the capital. He also stated that work would begin later this year and officials on the project would soon be revealing more details about the design of the first phase. Although the first phase will be the construction of a small hospital of between 150 to 200 beds, the long term plan for the Narayana Cayman University Medical Centre, stretching over 15 years, will include a tertiary-care hospital, an educational facility, a biotech park, and an assisted living community. According to the developers, the project will require a capital investment of approximately $2 billion. (CNS):As the missing person investigation into the whereabouts of 25 year old Kerran (KerryAnn) Baker moved into its ninth day police called on anyone who had BBM contact with her on the Saturday before her disappearance to contact them as they believed they could hold crucial information. With numerous lines of enquiry still open the police said forensic results had however closed one possible line. Stains found at Pedro St James close to where Kerran’s car and car keys were discovered turned out not to be blood DS Marlon Bodden revealed. As the days slip by Bodden and CS John Jones said Tuesday that while everyone still hoped for the best they had to face the reality of what could have happened. However, Bodden said that police would still like to hear for anyone that communicated with Kerran on Saturday 30 July via blackberry messenger service. Both Bodden and Jones asked people not to assume that the police would know that they had communicated with Kerran or that whatever exchange people had with her might not be important, as they asked people to come forward. Bodden pointed out that talking to the individuals who sent or received messages could give police more of a lead than simply knowing that Kerran may have communicated with certain devices. “We know that Kerran was a heavy bbm user and we would like to talk to anyone who was in communication with her this way on the day she was last seen,” Bodden added. The officers explained that the bbm system was different from calls and texts and that they needed people to come forward. The officers also said they believed that there may be people in Jamaica who she communicated with n the service who may also be able to provide police with relevant information. Once again the officers raised their concerns that there were people who knew more than they were willing to say about what might have happened to Kerran but people were using the issue of fear, as is common in Cayman, as a reason not to tell what they knew. “What more does it take?” CS Jones asked, as he noted the pleas made by Kerran’s family and their own constant requests that had not yielded the information that police hoped it would. In the meantime, as they waited for the all important break that may lead them to Kerran, the officers said investigators would continue combing through CCTV, following up existing snippets of information and forensic leads as well as cross checking witness statements already taken. Bodden revealed that as a priority investigation there were now fifteen investigating officers working on the case who were receiving support from numerous other units as well as assistance from special constables. He said a dedicated search co-ordinator was also on stand-by to organise further searches as relevant information came in. The two senior officers also revealed that as per the RCIPS policy the investigation had been internally reviewed by other officers who had not been working on the case as well as civilians that were friends of the police service in order to cast “independent eyes” over the investigation so far to ensure no stone had been left unturned. Despite the resources focused on trying to find Kerran, Bodden also assured the public that the police were not ignoring other crimes and that investigations continued into all the other outstanding cases where there were lines of enquiry to follow. 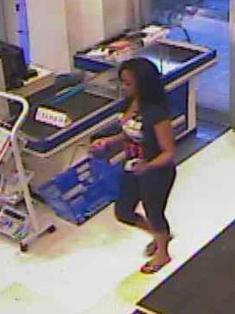 Twenty five year old nurse, Kerran Baker who lived alone in Bodden Town was last seen on CCTV tape at Foster’s supermarket on Saturday 30 June at around 7pm. A friend raised the alarm on Sunday having not hear from her and after going to her apartment found no sign of Kerran but her handbag bag and unpacked groceries on the counter of her kitchen. On Monday 1 August police found Kerran’s car parked at Pedro St James a few miles away from her home and the following evening the keys for that car thrown in the bushes nearby. (Bloomberg): Soccer’s governing body will start corruption proceedings against more than 10 Caribbean officials after a probe into allegations they took money from a candidate in its presidential election, according to two people familiar with the matter. FIFA on July 26 gave the officials from the Caribbean Football Union 48 hours to come forward with information about a meeting where Mohamed Bin Hammam,a one-time challenger to FIFA President Sepp Blatter, allegedly offered envelopes stuffed with $40,000. Bin Hammam, the former head of soccer in Asia, is appealing the lifetime ban he was given from the sport. Zurich-based FIFA’s ethics panel will meet today and is likely to bring the cases after more witnesses came forward to give details of the May 9 and 10 meeting at a hotel in Port-of- Spain, Trinidad and Tobago, according to one of the people with knowledge of the investigation. The pair were granted anonymity because they weren’t authorized to discuss the matter publicly. “We cannot speculate on what will happen,” FIFA said in an e-mailed statement. Ben Spencer, a spokesman for the Confederation of North, Central American and Caribbean Association Football, didn’t respond to an e-mail or telephone messages seeking comment. (CNS): With more than $1.1 million funding available for the the Cayman Brac affordable housing programme, the Sister Islands Affordable Housing Development Corporation (SIAHDC) made a planning application on Friday to build eight homes at the West End site and four at Watering Place. The eight homes already built by SIAHDC are all at the West End site, which is elevated on Bluff land, since there were no qualified applications at the time from people wanting to live in Watering Place. The SIAHC has also advertised for the position of office administrator to manage the affordable housing scheme on the Brac. The plans call for one 2-bedroom and three 3-bedroom homes at the Watering Place location, and two 2-bedroom and six 3-bedroom homes at West End. The plans are similar to the existing homes, which are between 855 sq ft for a 2-bedroom and 1,073 sq ft for a 3-bedroom house. Publishing the application forms and other documents as well as contacting applicants who have already submitted applications will follow, according to Board Chair Christine Maltman. Working closely with the Ministry of District Administration, Works, Land and Agriculture, SIAHDC is also preparing documents for the construction tendering process. “We are on track to begin construction,” Maltman noted. Sister Island Affordable housing initiative was launched a few days before the 2005 elections by the first UDP administration. SIAHDC, a government-funded, non-profit entity which was formed in January 2006 under the PPM, started the first two phases. 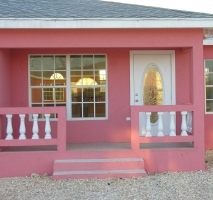 The four concrete homes of Phase 1 were completed just before Hurricane Paloma in 2008, and Phase 2 (another four homes) was completed in April 2010. Local contractors won the bids to construct phases 1 and 2 for $365,500 and $413,031 respectively. The Watering Place site can accommodate 15 homes and the West End property has room for 20 to 30 homes. Successful applicants own their own homes and land outright. Expressing pleasure at the progress of this third construction phase, District Administration Minister Juliana O’Connor-Connolly said, “I laud the board and Ms Maltman for staying focused so that construction of affordable housing on Cayman Brac can re-start soon.” The Minister emphasised that her ministry continues to promote individual home-ownership at the best possible cost. “Given the context of current global economic conditions, I am delighted the board has risen to the challenge of providing construction under prudent financial management,” she commented. The job of office administrator offers an annual salary of CI$30,000-40,000. To contact SIAHDC, mail to: PO Box 141, Cayman Brac KY2-2101; call 948-8177 or 928-0234, or email siahdc@candw.ky. CNS note: The article has been corrected. While a Cabinet equity investment of $500,000 appeared in the draft 11/12 Ownership documents, this EI was not included in the actual the budget, according to the board chair. CCC is owned by the Canadian government and was established to find commercial opportunities for Canadian companies with the backing of the state to give comfort to overseas partners. The hope is that the CCC will be able to recruit the necessary expertise and financiers in Canada to complete the much needed upgrades to the airports using local labour. The MOU is for exclusive talks for up to six months but does not constitute any kind of binding agreement the document says. With no money in government’s coffers to redevelop Owen Roberts in particular and a pressing need to extend the runway to open Cayman to European markets government is seeking a public private partnership to develop the airport at no cost to the treasury. Although government had been expected to announce that it was partnering with Beijing based developers China Harbour Engineering Company, the premier made the surprise announcement in the Legislative Assembly last week that an MOU had been signed with CCC. 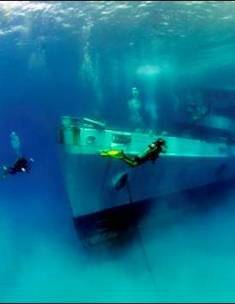 (CNS): The Cayman Islands Tourism Association (CITA) is looking for overseas applicants for the Department of Tourism’s largest dive FAM trip in the world in November. SCUBABOWL, which is held every few years, is geared for dive travel marketing professionals who bring groups to the Cayman Islands for dive vacations. While here participants are treated to a host of experiences so they can sell the Cayman Islands with confidence. These include a combination of informative sales-focused seminars, first-hand experience of the underwater offerings of the Cayman Islands, site inspections and a variety of social networking events allows the delegates to learn about the Cayman Islands. Held on the heels of the Dive Equipment and Marketing Association (DEMA) tradeshow, which will take place in Orlando, Florida, this will be the 10th SCUBABOWL hosted in Cayman. As a result of support from Cayman Airways and on-island partners, selected applicants pay a greatly reduced registration fee (begins at US $375 per person), which includes airline tickets from one of the Cayman Airways gateway cities, four nights accommodations from November 6-10, 2011, continental breakfasts and dinners, seminars, two days of 2-tank dives, Underwater Film Festival, International Scuba Diving Hall of Fame induction ceremony and the Farewell Party. All applications must be received by end of business day on August 15, 2011, to be considered. Delegates are selected by the selection committee, who will make final selections by August 31, 2011. Travel to and from the preferred Cayman Airways gateway cities are the responsibility of the delegate. include Andre Laban, who is known for his underwater paintings, Howard and Michele Hall, who are among the top underwater film makers in the world and Clement Lee, who is being recognized for his contributions to the dive industry in southeast Asia, will also be part of this year’s travel specialists jolly. CITA said that the farewell party will be a memorable conclusion to SCUBABOWL, as it is the launch of the Official Watch of the Kittiwake by Oris Watches. The party, sponsored by Oris and Island Companies, will be the unveiling of the prototype of this limited edition piece. Part proceeds from the sale of this watch will benefit the Kittiwake Environmental Contingency Fund. While SCUBABOWL takes place over a three-day period, delegates are encouraged to extend their visit with add-on options to one or more of the three islands: Grand Cayman, Little Cayman and Cayman Brac. (CNS): Local water sports operators Red Sail Sports is offering a 50 percent discount on diving, watersports and catamaran adventures until 15 December giving locals a chance to enjoy Cayman through the eyes of a tourist. The firm said it was the largest discount ever offered by the company to the people who live here, and it comes at a time when island residents may need a fun family outing, a romantic sunset sail or a relaxing dive. “We are delighted to offer this significant discount to help residents in these tough economic times,” said Rod McDowall, Operations Manager. 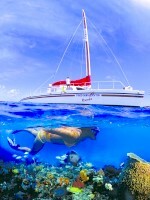 The visiting friends and family programme allows Cayman to go to any Red Sail Sports location and subject to space get the half price offer and once a resident has booked one event for friends and family the discount extents to the visitors for any other bookings for the rest of their trip. Catamaran sails to Stingray City, Rum Point, Kittiwake, Sunset Cruises and Dinner Sails, dive trips for certified divers, beach watersports such as wave runner rentals, wave runner safaris, windsurfing, sailing, kayaks, waterskiing, banana rides and speed boat charters are all included in the offer. Reservations may be made over the telephone for visiting friends and family but the island resident making the booking must be present when payment is made the first time. They are asked to bring identification and proof of residency, such as a driver’s license or passport with a work permit stamp. Once the information is on file their visitors can enjoy the discount for the rest of their stay without the resident having to bring them. The Special 50% discount is offered on a space available basis and cannot be used in conjunction with any other offer. (CNS): With a number of talented young players on the Cayman Islands national basketball team, one or two of them have a chance of playing for a living in the Spanish or Italian basketball leagues thanks to trainer, mentor and expert in the sport, Cory McGee (left). A scout and founder of LEAP, based in the UK, McGee says that local players certainly have the talent to play professionally but as they are not seen on the international stage they are not getting the chance to try out for key European teams. Here in the Cayman Islands to help bridge that gap, McGee told CNS that for the young athletes who have a chance of getting on a team, staying there is far tougher than the players can even begin to imagine. LEAP, the programme founded by McGee, is not just about spotting talent and sporting success, it is also about preparing young players for the life changing experience of actually playing for a living. He also noted that the skills young people learn on LEAP can be used in other aspects of their lives even if they never go on to play professionally. However, for those that want to make a living in sport, he explained there is a need for them to prepare mentally for the competitive nature of professional sport and the expectations of, as well as pressures on, players once they are part of league teams. He said these could be enormous and often even the most talented players fail to make the grade because they are not properly prepared. From TV and newspapers that they can’t understand because of the different languages, to not understanding what to buy in the supermarket or not being able to manage money or cope with the strict discipline of team life, even the most talented players can be brought down by what may seem like the simplest of things. McGee said that most professional coaches and managers pull no punches and are not interested in excuses or the fact that a player might be homesick. Before any young player can hope to survive in the professional leagues many will have to face a significant attitude adjustment. Not surprisingly, young players yearn to play ball for a living, but McGee pointed out that while they dream of the game they never consider the realities of life overseas, far from home and under constant pressure to perform at their best for each and every game. “Regardless of the level of talent, players need to adapt mentally before I can find them a contract,” McGee said. Recognising the passion in a number of young local players, he says that with a little help there are members of the Cayman national team that could make it in Spain or Italy, which are the biggest basketball leagues in Europe. Although he has been working with the youngsters on the court for most of last week, he said that this week he will be in the classroom focusing on the areas which will, in the end, present the greatest obstacles to them becoming professional players. Having played himself in numerous European leagues and ten different countries, McGee has been sharing the benefit of his own experience with Cayman’s team, alongside Coach Voot O' Garro, whom he spoke of with enormous admiration and said he had done an incredible job with the national team. McGee said it was clear from Coach Voot’s passion and the effort he has put in that he wants his players to gain that valuable international experience playing overseas and to have their talent seen by a wider audience. McGee has worked for several years in the UK and has spent time in over 20 schools looking for youngsters talented enough to join the big European teams but also for those that have the right attitude and that can adapt. Offering a unique opportunity for Cayman’s national players, Mc Gee said he hoped the youngsters would listen and learn while he was here before he could begin to secure contracts for some of them. “Dribbling and shooting hoops is only part of it; the rest is all about hard work, consistency, dedication and the right mentality,” he explained. McGee came to Cayman as a result of the corroboration of a number of people, including Katina Anglin-Powery, who found McGee in the UK and persuaded Colin Anglin at the ministry and the local basketball association to bring him over and organise his visit to give Cayman’s players this unique opportunity. McGee said so far he has been impressed with the local talent, and if some of the players can adapt, there are opportunities that at least a few Cayman players could seize. McGee said that LEAP’s motto is “Changing the world one dribble at a time” and he hoped he can help to do that here too. (CNS): Of the $4.1 million dollars that the premier has given to 16 different churches and church groups over the last two years from the Nation Building Fund, more than half has gone to just two churches. The Wesleyan Holiness Church, with its primary base in West Bay, and the Church of God have between them received a total of almost $2.6 million. The remaining one and a half million has been split across 14 other church groups, including the Seventh Day Adventists, the Church of God Chapel and the Cayman Ministers Association. According to the release of information by the finance ministry following two Freedom of Information requests, one by CNS, the donations to churches are diverse, ranging from only $12,000 given to one church compared to more than $1.3 million to another. The John Grey Memorial Church was given the $12,000 donation, which was described as "church based support". While the Wesleyan Holiness Church received around $1.3 million and the Church of God also received $1.275m in grants. 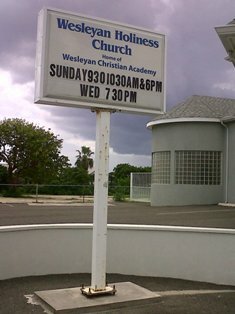 According to the records, the Wesleyan Holiness Church in West Bay, the church attended by the premier, received $250,000 in January 2010 to purchase land, it then received a second grant of $350,000 in May of the same year, the details of which were not revealed. Then again in September 2010 it received another unexplained grant of $400,000 and another unspecified donation of $300,000 in March of this year. Meanwhile, the Church of God in Bodden Town received two grants in 2010, one for $400,000 in April and a second grant was given in May, described as "church based support", for $300,000. Then in March this year the same church received another donation of $300,000 for hurricane shutters. Meanwhile, the Frank Sound branch was given a $75,000 grant in March 2010 and the West Bay congregation also received $50,000 in April 2010. A further $50,000 was donated in June, which, according to the document released under the FOI, was for “starting a new church”. The Chapel Church of God in West Bay received $250,000 in April 2010 and the Church of God Chapel in West Bay received $100,000 in June this year for what was described as “assistance in the completion”, but of what it did not say nor is it clear if these two are in fact the same church. Other churches receiving six figure sums include the All United Pentecostal Church, which received a nation building grant in February 2010 of $100,000 and another of $75,000 in March 2011. 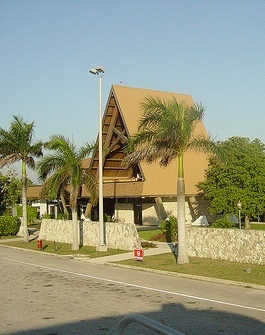 The Seventh Day Adventist Church in West Bay also received $200,000 in April 2010 and then was given another grant “for assistance in completion” of $100,000 in June of this year. The New Testament Church in West Bay also received $100,000 this year in June for “building assistance” as did a new church group, the Light of the World Church, in March, thought the purpose of the grant was not specified. The Covenant Moravian Church received the very specific figure of $104,990.62 for assistance in building a church hall. All other grants were considerably smaller, with St. George’s Church receiving only $15,000 towards a land purchase. The premier said last week that the donations to churches from the nation building programme were good value for money as it helped them to create more hurricane shelter space butalso because of the importance of the churches to the Cayman Islands community. “Perhaps the fundamental justification for supporting the churches, however, may be more readily grasped if we ask ourselves this: what would our society have been like; what, in today’s pressured realities would it be like, were it not for our churches? Where else would we get the enduring ethical guidance that our churches continue to urge upon us?” the premier asked his parliamentary colleagues last week, when he spoke about the nation building programme. Listed as TP52 in the budget documents this year, the national building programme has been allocated over $3 million, bringing the total allocated to this item to more $10 million of public money since it was introduce into the 2009/10 budget. There is, however, no specific guidelines on how the money is given out and under which criteria according to the premier applications can be made to the ministry to the nation building programme and each is considered on its merit.